Spurling House, Brighton was built in 1889 for Phillis Spurling to a highly innovative design by Canadian-born, Sydney architect, John Horbury Hunt. It is the only known example of his work in Victoria. Originally known as Purno, Spurling House was built on a large block of land in the popular seaside village of Brighton, in close proximity to the Middle Brighton railway station which was constructed from 1882-87. Hunt's design of the comparatively small Spurling House introduced the Shingle style to Melbourne. This Arts and Crafts-inspired North American domestic architectural style used organic materials in a way which heightened their natural qualities, eschewed any applied decoration, used contrasting vertical, horizontal and diagonal lines to achieve compositional balance, and grouped functional elements for aesthetic effect. At the height of the boom in Melbourne, when the majority of houses were designed in a highly decorative Italianate style, the surprising design of Spurling House was exceptional. In his design of Spurling House, Hunt used simple, open planning and externally incorporated expanses of black stained shingles, bold timber bracketting and strongly modelled brick chimneys. The composition of the front facade is highly asymmetrical, with contrasting horizontal, vertical and diagonal lines providing balance. 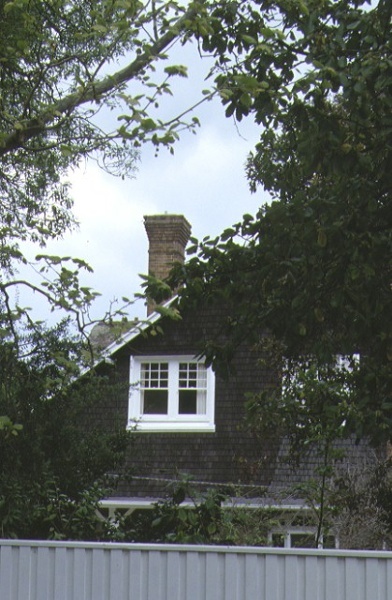 An off centre gable; a dominant plain brick chimney shaft which is offset from the gable apex; an offset recessed verandah and varying window opening sizes provide both contrast and balance to the composition. The stained shingles of the upper facade, corbelling of the chimneys and the projection of the upper floor beyond the lower floor add to the picturesque nature of the composition. 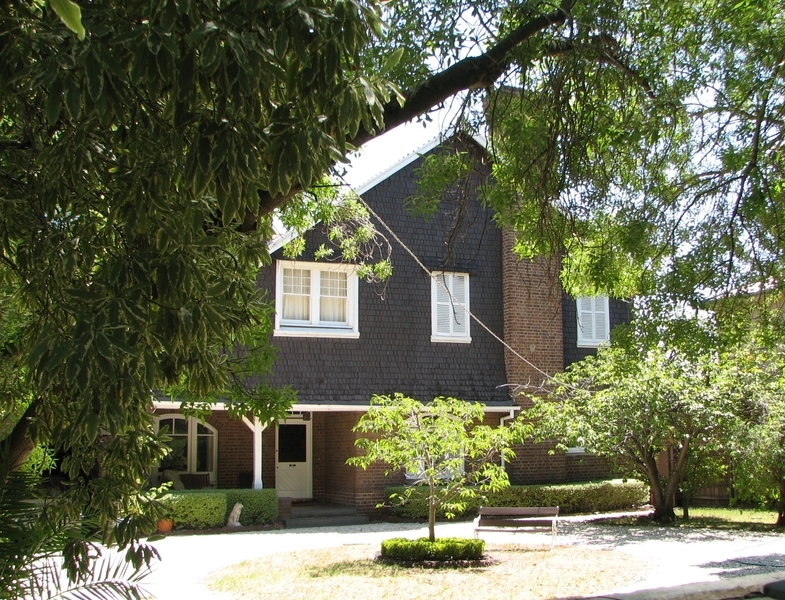 Spurling House, Brighton is of architectural and historical significance to the State of Victoria. Spurling House, Brighton is of architectural significance as the only known house designed by John Horbury Hunt in Victoria. It is one of twenty-two designed by this highly influential, Sydney-based architect. Spurling House, Brighton is of architectural significance as the first, and one of the most innovative, domestic buildings constructed in the later nineteenth century in Victoria in the Shingle style. As the first of seven houses designed by Hunt in the North American Shingle style, it introduced this picturesque style to Victoria. 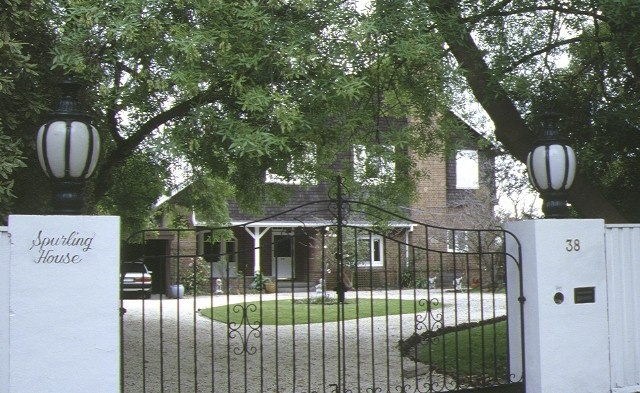 At a time when the often heavily ornamented, rendered architecture of the domestic boom style was popular in Victoria, Spurling House was highly innovative and unique. Spurling House, Brighton is of architectural significance as an influential design in the overall oeuvre of the Arts and Crafts style. Many concepts introduced at this house were integrated in the design of houses by architects from the 1890s and into the early twentieth century. 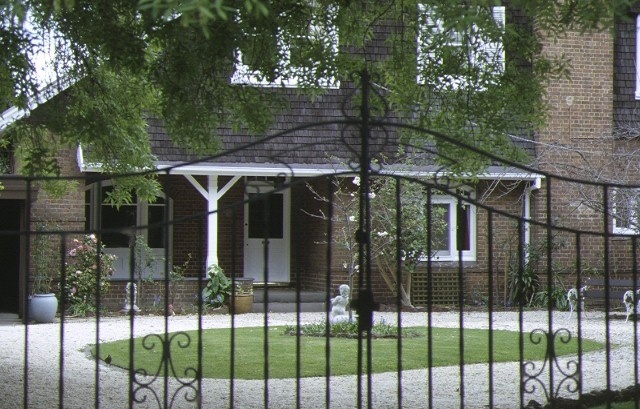 Spurling House, Brighton is of historical significance as a large house built in the popular bayside suburb of Brighton, at a time when the suburb was expanding, aided by the advent of the Sandringham rail line through the suburb from 1878. City of Brighton. No. 126. Spurling House, 38 Black Street Brighton. Spurling House, Brighton was built in 1888 for Phillis Spurling to a highly innovative design by Canadian-born, Sydney architect, John Horbury Hunt. It is the only known example of his work in Victoria. Originally known as Purno, Spurling House was built on a large block of land in the popular seaside village of Brighton, in close proximity to the Middle Brighton railway station which was constructed from 1882-87.